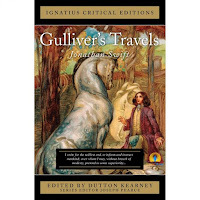 Best book you read in 2015: The Canterbury Tales. Book you were excited about & thought you were going to love more but didn’t: On The Road by Jack Kerouac. I had read his The Dharma Bums and just loved it, but On The Road simply didn’t have the charm of the former. It was a chronicle of a bunch of irresponsible young men getting drunk and stoned across America. Just not for me. Most surprising (in a good or bad way) book you read in 2015: In a good way, Up From Slavery by Booker T. Washington. I was a little fatigued with the slave narratives, but Washington, without anger or bitterness, presented such a balanced view of the issues, and a way for the people coming out of slavery to really move forward and feel like they were building useful lives for themselves. He definitely goes on my hero list. Book you “pushed” the most people to read (and they did) in 2015: Well, I’ll say Beowulf because I hosted a read-along of it. I had a great time; I hope everyone else did too! Best series you started in 2015? Best Sequel? Best Series Ender: I read through Jane Austen’s novels and was so pleased to revisit old favourites and finally read the two that I had never read before (Sense and Sensibility and Persuasion). Pride and Prejudice remains one of my all-time favourites. 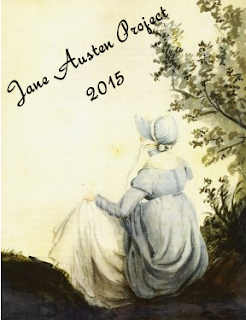 I also developed a new appreciation for both Mansfield Park and Northanger Abbey. Favorite new author you discovered in 2015: Michel de Montaigne. He is such a unique thinker and his writings are so personal that after you read a few of his essays, you feel like you’re talking with an old friend (although one you conversely often argee and disagree with). He’s fabulous! Best book from a genre you don’t typically read/ out of your comfort zone: Montaigne’s Selected Essays. I don’t usually read essays, even though I want to read them. Montaigne was a blast! I can’t wait to read more of him. Most action-packed/thrilling/unputdownable book of the year: Dracula. We seek him here, we seek him there, we very-credulous-and-always-one-step-behind men seek him everywhere. Is he in heaven or is he in hell? That damn’d elusive Count Dracula! Book you read in 2015 that you are most likley to reread next year: I will definitely read The Canterbury Tales again, but not next year. Favorite cover of a book you read in 2015: Probably this Ignatius Press edition of Gulliver’s Travels by Jonathan Swift. Most beautifully written book read in 2015: The Forgotten Daughter. I was truly blown away by Snedeker’s writing. Not only does she create a believable and vibrant setting, she brings to life the characters within it. The true degradation and loss of liberty under slavery resonates in this book, yet without becoming maudlin. An excellent read. Book that shocked you the most: Mein Kampf by Adolf Hitler. It is astounding and more than a little unsettling that he grew to rule a nation. His delusional hatred of Jews and non-Arians was not cloaked at all. It made me realize that if it could happen once, it could happened again. OTP of the year: Every year I have to look up what OTP means. Sigh! 😉 Elizabeth and Darcy from Pride and Prejudice! Favorite non-romantic relationship: Pinocchio and Geppetto – very much a Prodigal Son story. Otherwise the Little Women family. Best book you read in 2015 that you read based solely on a recommendation from someone else: The Adventures of Pinocchio by Carlo Collodi. Best world-building/most vivid setting you read this year: Hamlet by William Shakespeare. I read it twice this year thanks to Hamlette’s read-along! 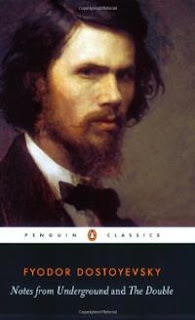 Book that put a smile on your face/was the most fun to read: The Club of Queer Trades by G.K. Chesterton. I just realized that I didn’t read many fun books in 2015. I’ll have to rectify that next year! Book that made you cry or nearly cry in 2015: The Forgotten Daughter by Caroline Dale Snedecker. Again it communicated the hopelessness of slavery while giving hope in another way. Just excellent. 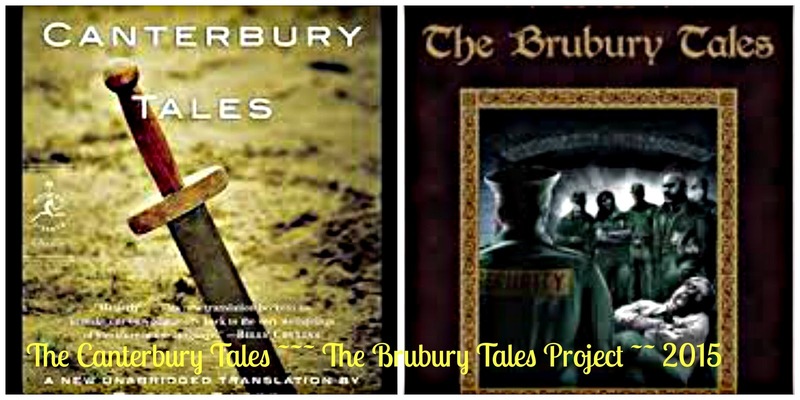 Hidden gem of the year: The Brubury Tales by Frank Mundo. I’m not a fan of modern fiction and I’d expected these tales to be definitely weaker versions of The Canterbury Tales, but I was absolutely blown away. 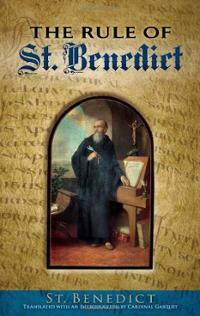 His poetic skill resonated throughout the stories and his insight into human nature was exemplary. I will read this one again, for sure. Most unique book you read in 2015: The Journal of William T. Sturgis. It was refreshing to see a man who acted with honesty and integrity towards the native people, yet also held them accountable to basic human behaviour. Quite a man. Book that made you the most mad: Northanger Abbey by Jane Austen. I wanted to smack most of the characters. New favorite book blog you discovered in 2015: We Went Outside and Saw The Stars (Keely reads the type of books I absolutely love and compiles thoughtful and insightful reviews) and Gently Mad (Sharon reads a very eclectic panorama of books and her reviews are always thought-provoking) I know that I’ve forgotten somebody ….. Favorite review that you wrote in 2015: Wow, this is tough. I’m going to choose my Montaigne essay posts, of which there are three, plus an introduction. These reviews took up an inordinate amount of time, but I’m glad that I have little snapshots of all the essays I read. Best discussion/non-review post you had on your blog: Ooo, I don’t know. 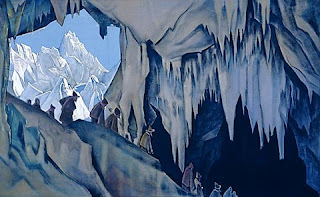 Perhaps my Join the Beowulf Read-Along post where we had some discussion of translation and other fun Beowulf-related things. I didn’t do many other survey-type posts this year. 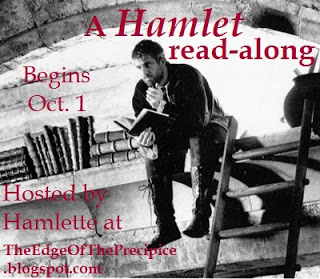 Best event that you participated in: The Hamlet Read-Along at The Edge of the Precipice. I also enjoyed my Beowulf Read-Along, and my read with O of The Canterbury Tales was a blast. It was so helpful to read her excellent posts as we read along. Best moment of bookish/blogging life in 2015: Meeting new bloggers and responding to comments on my blog. 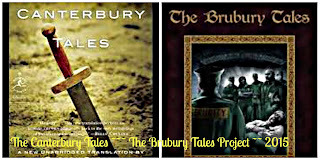 Most popular post this year on your blog: My The Canterbury Tales/The Brubury Tales Project post with 371 views. After that my Ecco Homo review at 311 views. Honourable mentions go to Sonnet XXIX by Garcilaso de la Vega and Christianity and the Survival of Creation by Wendell Berry. I was amazed at the top winners this year. Best bookish discovery: I was excited to purchase C.S. Lewis’ English Literature in the Sixteenth Century, one of the Oxford History of English Literature volumes. I also scored The Riverside Chaucer in a beautiful hardcover edition, but after I’d finished reading The Canterbury Tales. 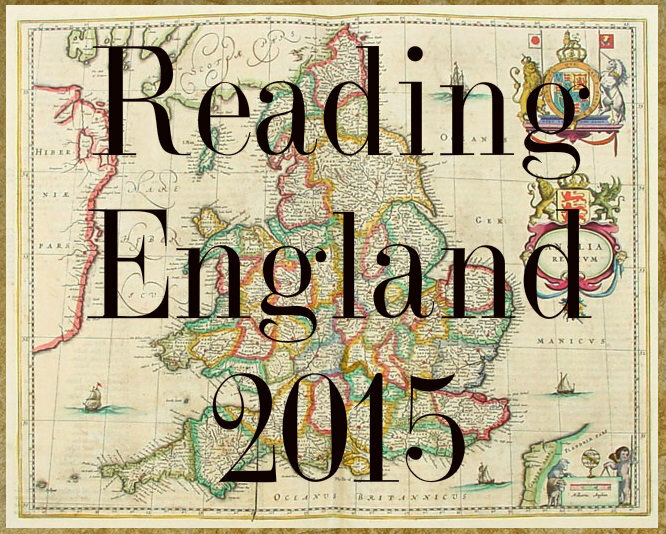 Did you complete any reading challenges or goals that you had set for yourself at the beginning of this year: I completed Back to the Classics Challenge, Reading England Challenge, Jane Austen Project, The Canterbury Tales/The Brubury Tales Project and the Books in Translation Challenge. 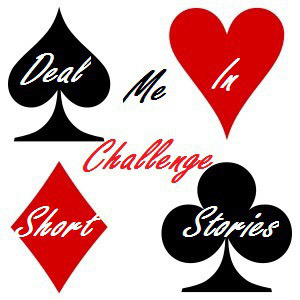 I failed at The Pre-Printing Press Challenge, 52 Books in 52 Weeks (reached 50 books), my TBR Pile Challenge, reading only 9 of the 12 books I should have, and the Deal-Me-In Challenge. I also hardly read any C.S. Lewis for that project, read only a couple of Shakespeare for my Shakespeare project and did not read any Trollope from my Barsetshire read. Woe is me! One book you didn’t get to in 2015 but will be your number 1 priority in 2016: The History of Napoleon Buonaparte by John G. Lockhart. Good grief, this is ridiculous! I’m fascinated by Napoleon and I absolutely love this book, but I’ve been working on it for a couple of years and something else always takes my attention away from it. I simply MUST finish it this year. Series ending/a sequel you are most anticipating in 2016: The Last Chronicles of Barset by Anthony Trollope. No, you’re not seeing double from last year. I’m leaving it here because I can’t think of another book and I hope to get to Trollope in 2016, but knowing me and what I have planned, I can’t see getting to the end of the series. 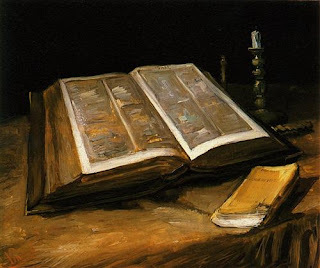 I also would like to read The Lord of the Rings, but I’m hesitant to make a commitment, as I have so many other books that I’m planning to read. One thing you hope to accomplish or do in your reading/blogging life in 2016: Keep up with my books! Keep up with my posts! It’s my perpetual resolution and hope. 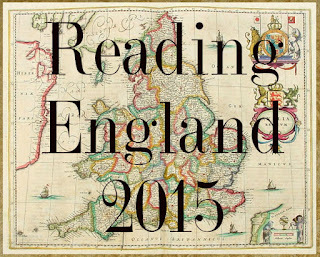 Wishing everyone happy reading days and lots of them in 2016!! First publish around 1602 (although a working copy is thought to have been in use in 1601), Hamlet has come down to us in two forms. Issued in 1603, a corrupt or crude and probably pirated copy called the “First Quarto” (Q1) was produced, then in 1604 a more complete and artistically styled “Second Quarto” (Q2) followed. It is supposed that the errors in Q1, complete with pretentious and often meaningless rhetoric, spurred Shakespeare and his company to press for a more complete and credible version. 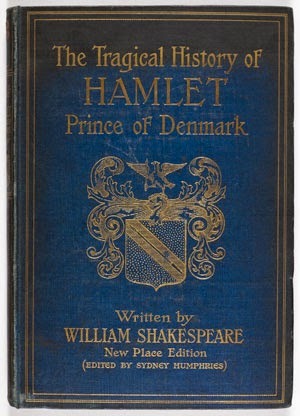 Surprisingly, Hamlet was never performed or printed in its entirety during Shakespeare’s lifetime and the copies we read today are a compilation of Q2 and the 1623 Folio edition. In spite of the errors and incompleteness of the play, there is little doubt that it is Shakespeare’s as it was performed by his own acting company. 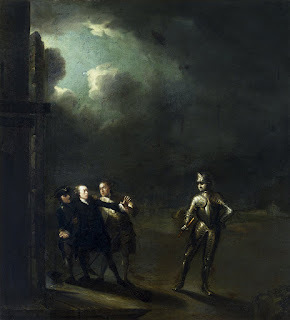 The evidence of the dating of the play is quite fascinating, as it not only uses clues from registries, but clues imbedded within the play to events that happened in 1601 and 1600. Shakespeare actuates very detailed detective work. The legend of Hamlet goes back centuries, dating to around the Scandinavian sagas. It was familiar to the people of Iceland in the 10th century, although Shakespeare possibly drew from Histories Tragiques (1559-70) by Francis de Belleforest, relating tragic stories of great kings and queens whose lives had been ravaged by love or ambition. A second hypothesis is that Shakespeare revived an extant version of a play by Thomas Kyd, revising this earlier piece to become the Second Quarto (Q2), and then afterward rewriting the complete acting text and play, which then became the basis for the Folio of 1623. With regard to the first hypothesis, the similarity of the stories are too apparent to be coincidental, but there are differences in names and some differences in narrative that indicate Shakespeare was intent on making the play his own. The play itself begins in Denmark at Elsinore castle where two soldiers see a ghost on the ramparts. 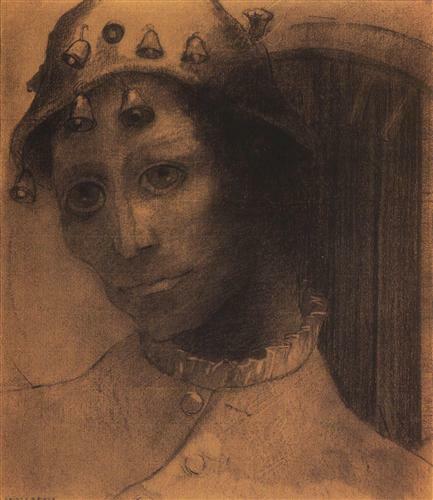 It is the ghost of the newly dead King Hamlet and immediately they inform his son, Hamlet, of the apparition. Horatio, his friend, keeps watch with him the following night, whereupon the ghost claims to his son that he has been murdered by his own brother, the new king, Claudius. 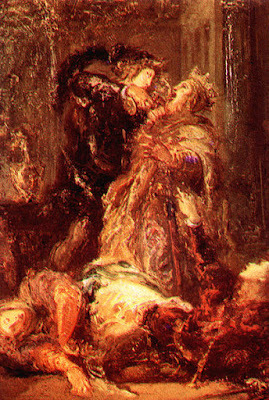 To add insult to injury, Claudius has married Hamlet’s mother, Gertrude, an outrage that can hardly be borne by Hamlet. Yet questions pile upon Hamlet, enough to smother. Was the ghost truly there, and if so, was it really his father? Revenge was called for but how could the deed be done, and was he justified in taking a life? His father’s life was cut short “in the blossoms of his sin”, but if he dispatched Claudius in his guilty state, would not their deaths become parallel? 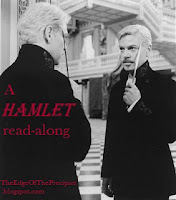 The contrary questions paralyze Hamlet into a mire of inaction. He then works out a contrary persona, playing at an odd type of insanity, yet often dispensing insightful, sharp and clear rhetoric to torment Claudius into confusion. Is Hamlet as dangerous as Claudius believes or is he merely an innocent victim of the circumstances, grief-stricken over the death of his father? After Hamlet unwittingly commits the murder of Polonius, the advisor of Claudius, he forces the hand of the new king who sends him to England, with the intent of extinguishing any threat to his kingdom. Yet Hamlet has also injured the mind of one once dearest to him, Ophelia, the daughter of Polonius, and her decent into madness colours the kingdom with further calamity. Upon Hamlet’s return, the culmination of this revenge tragedy is set into motion. Will Claudius’ plotting bring him success? Can Laertes avenge his father, Polonius’, murder, and will Hamlet’s revenge bring him the peace he seems to seek? You can see throughout the play the emphasis on action vs. inaction, words vs. action, thoughts vs. action, etc. 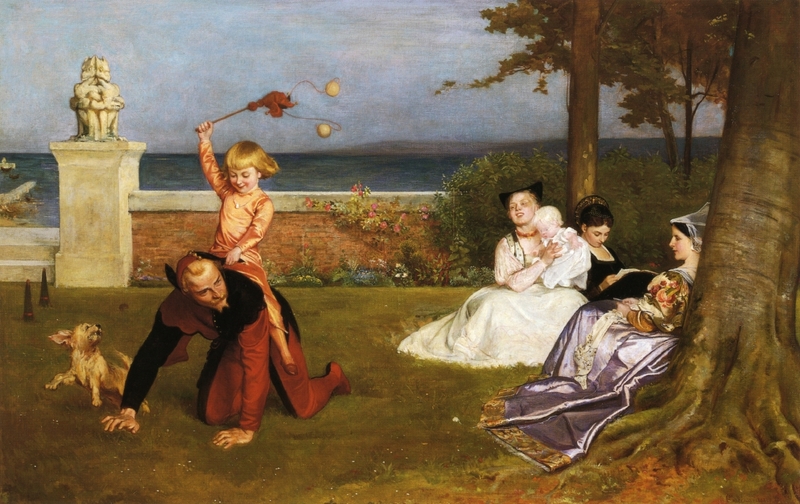 While Hamlet bemoans his inability to act to avenge his father’s death, on the surface seeming cowardly and ineffective, the actuality is quite the opposite. 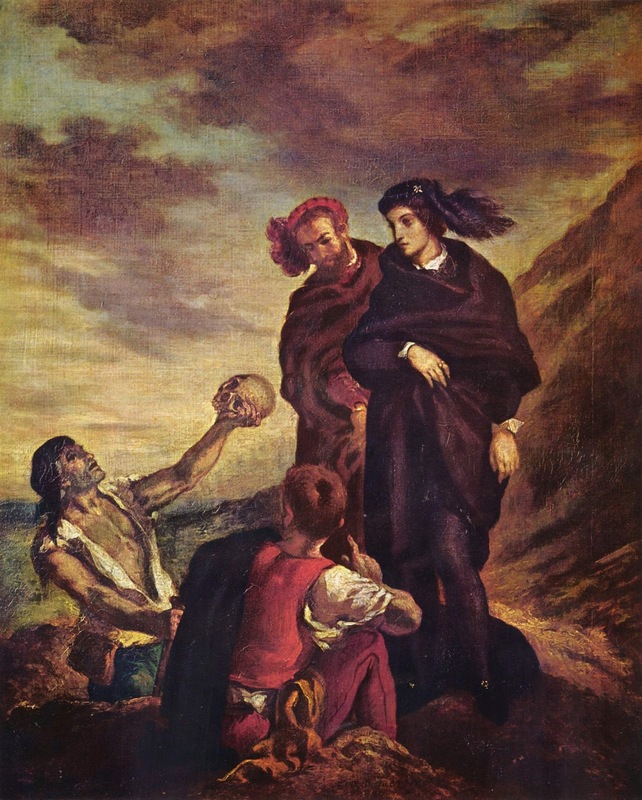 All throughout the play, Hamlet uses thoughts and words to manipulate his enemy. His thoughts, though he bemoans them, actually have more of an effect than he imagines, controlling certain small acts in a very effective manner. His act of insanity twists Claudius into a Gordian knot of uncertainty, his letters announcing his return to Denmark pushing Claudius to drastic action. 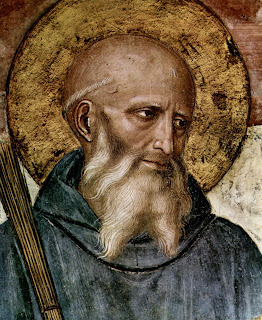 Thoughts and words appear to be more important and certainly more effective than action, torturing his enemy to the very limits of his endurance. While it’s demonstrated in the play that revenge only brings suffering, is there a underlying theme that words can be more effective than action? Hamlet does get a hero’s remembrance, but the deaths, suffering and pain caused by his vengeful actions, and those of others, are strongly emphasized. There is a question throughout the play of Hamlet’s sanity. Is he truly mad, or is it simply an act produced to set a trap for the murderer of his father? I tend to think the latter, but Shakespeare appears to quite closely link insanity with revenge, perhaps alluding to the fact that vengeance has a detrimental effect on our minds, distorting perceptions to bring about a type of madness. Hamlet is playing at being mad, but madness also plays with him, his malevolent sentiments poisoning his very psyche, and modifying his entire moral perspective. The whole character of Hamlet is played out in the agonizing conflict within his mind. Mad he is, and mad he is not, perhaps making him at once to be and not to be. Ah ha! Hamlet reveals to Horatio that on his way to England, he discovered one night upon opening the sealed directive to the English king, that Claudius had plotted his murder. Covertly, he replaces his name on the letters with those of Rosencrantz and Guildenstern, and reseals them with his father’s old seal. It appears that Hamlet has no regrets, except perhaps in his treatment of Laertes, as he sees Laertes as a mirror image of himself. A young courtier, Osric, enters and announces a request from Claudius for Hamlet to spar with Laertes using swords, but not before much circumlocution and apparently senseless bantering between Hamlet and the courtier. Hamlet reveals to Horatio that he expects to emerge the winner, but still he has a unsettled feeling. The King and Queen enter with Laertes and entourage. 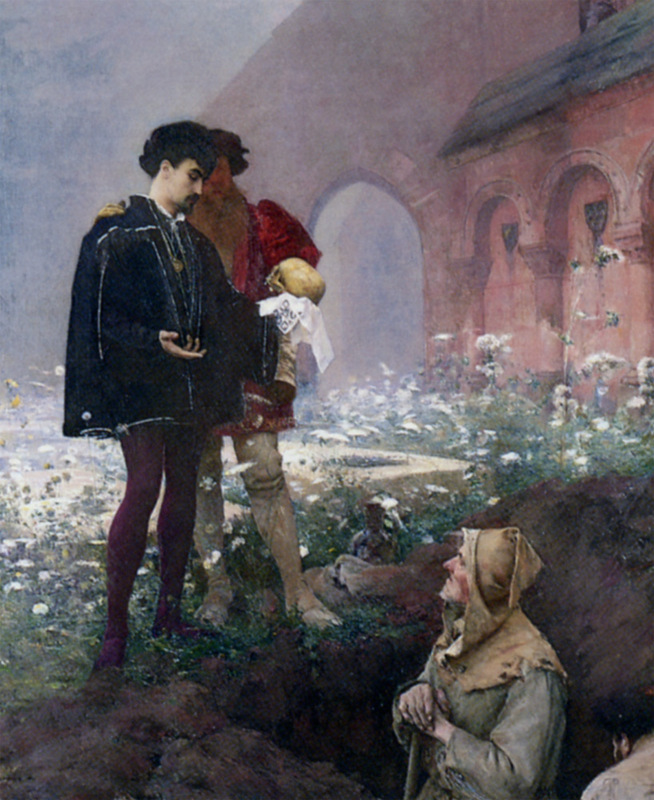 Hamlet makes an apology to Laertes, blaming his madness for his actions, whereupon Laertes proclaims that he will not accept the apology upon his honour until a higher council has advised him, but he will accept Hamlet’s love. The trust must be told before more unwitting tragedy unfolds. Hamlet is born away like a soldier, with honour and respectful words from Fortinbras. 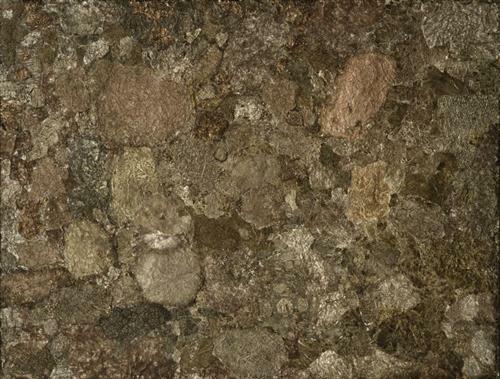 In the last scene it appeared that the returned Hamlet was a different Hamlet than had left Denmark, and this scene confirms it. Hamlet begins to act, but act with reason and deliberation. Osric’s behaviour towards Hamlet is suspect. He agrees with everything Hamlet says as if he’s trying to placate him. Hamlet must know that Claudius’ machinations are behind his behaviour. The Prince appears to know that the confrontation with Claudius is coming to a head. However, Osric also defies Hamlet in refusing to put on his hat when requested. Really? Defy the Prince of Denmark? Is this an indication of Hamlet’s loss of power? Again, instead of being wholly fixated on revenge, Hamlet shows concern for others, regretting his behaviour toward Laertes and wishing for a reconciliation. There are a number of questions this scene brings up which will perhaps remain unanswered. Does Hamlet really believe that he is/was mad? Does Gertrude drink the poison unknowingly or not? Does Claudius make a true effort to stop her drinking? Does Hamlet suspect about the poisoned drink? 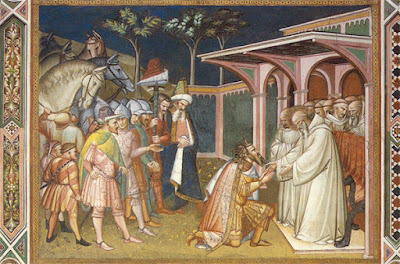 Initially all three characters, Fortinbras, Hamlet and Laertes are united by the deaths of their fathers and a thirst for revenge; at the end of the play they are united by a goodwill towards each other, and perhaps a realization that revenge only brings catastrophe and tumult into lives, and in this case, a kingdom. The latter point is amplified by Horatio at the end, where he appears to want to educate the influential masses, using Hamlet as an example. Revenge is like a poison and kills those who come in contact with it. Woo hoo! 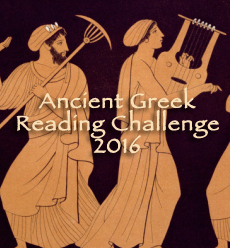 After some not-so-subtle prodding by yours truly, Keely from We Went Outside and Saw The Stars has decided to host a Greek literature challenge for 2016. I’m so excited about this challenge as it will allow me to choose books from one of my favourite periods. • I will be accepting sign ups throughout the rest of 2015 and all through 2016. 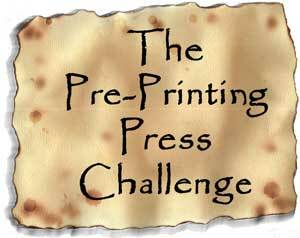 • You don’t have to blog about each text, or any, but the purpose of this challenge is to encourage everyone to read Ancient Greek texts so it would be amazing if you spread Ancient Greek love around the blogosphere! • If there is enough interest I’ll make check in posts semi often so you can link your reviews or just general comments about this challenge as you see fit. 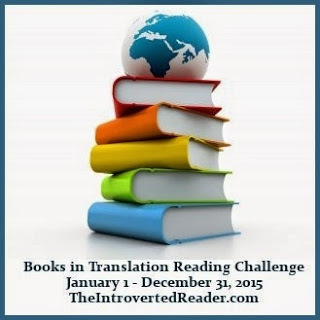 • Everything counts for this challenge: plays, essays, non-fiction history, poetry, fragments of texts, criticism etc. As long as it is an Ancient Greek text or a modern text about Ancient Greece it counts! I’ll personally be reading texts from Ancient Greece and the Byzantine Era so you can make this challenge whatever you want it to be. • I’ll also love it if you would be interested in writing guest posts here related to this challenge. The more the merrier! 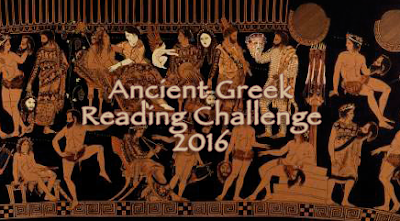 • Most of all HAVE FUN and spread your passion for Ancient Greek texts. This genre could always use more love. I will be aiming for Level Five as I have plans to read as many Ancient Greek plays by the four greats (Euripides, Sophocles, Aeschylus, Aristophanes). I’m not sure what I’m going to choose to read, but I have some literature on my Classics Club list that I should get to, and then there are so many other possibilities. Ooo, I can’t wait to get started! 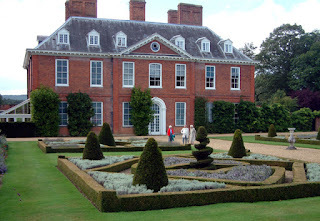 Young Emma Woodhouse of Hartfield has been the pet of her father and governess, and perhaps indulged by both to a faulty degree. However, her character is one of kindness and charity, but enhanced with a healthy interest in the business of others, especially if it includes the subject of marriage. Mr. Knightley, a close family friend and owner of Donwell Abbey, attempts to correct Emma and steer her on a more prudent path, but Emma’s high spirits require the correction of life experience. As she stumbles through her attempts at matchmaking based on her faulty reasoning, we see Emma grow from a willful, impressionable, decisive girl into a more careful, thoughtful, and empathetic woman. From the first sentence we can see that this is a type of coming-of-age novel. The struggles and challenges of life are what develop strength of character. 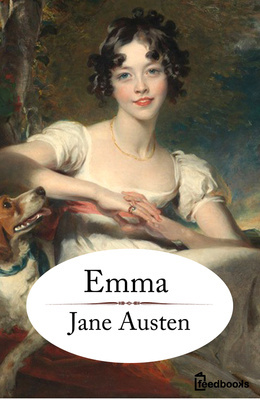 Because Emma has lived a relatively trouble-free and pampered life, we initially see in her character a willful blindness which often only serves to punctuate the errors in her thinking and of her actions. The tension in the story is the uncertainty of Emma’s transformation. We know that she is able to learn, but with her stubborn nature, will that be possible? Her personal tenacity does not allow for an instant conversion, and instead we see small steps of correction in Emma’s character, even while she gets into more scrapes and misunderstandings. Yet Emma realizes, or is forced to realize, the value of the advice of those closest to her, admitting her faults and seeking to amend them. As I contemplated this read, I felt that it was not simply Emma who was often mistaken. Not only is Emma completely blind, but all the other characters exhibit their own sort of blindness to varying degrees. Not only does no one know their neighbour or accurately guess their motivations, often people don’t even know themselves. Each person is often attempting to hide their observations, either out of personal gain or out of societal politeness, but in each case, these decisions are shown to be unwise. Does this tell us that by understanding our fellow human beings that we will gain a deeper knowledge of ourselves? However, perhaps Mr. Knightley had a more accurate indication of the issue, when he stated, “Mystery; Finesse —- how they pervert the understanding! My Emma, does not every thing serve to prove more and more the beauty of truth and sincerity in all our dealings with each other?” We need to be truthfully transparent with one another, even if it is difficult or uncomfortable, to truly cultivate relationships with minimum complication. By the end of the novel, Emma is a much wiser woman. Are all of her faults erased? Not at all, but many of those faults are what make part of her character so delightful. It is the opening of her mind, the willingness to admit her wrongs and the receptiveness to bettering herself, that makes her a truly likeable heroine. And we begin with a little levity topped with introspection. 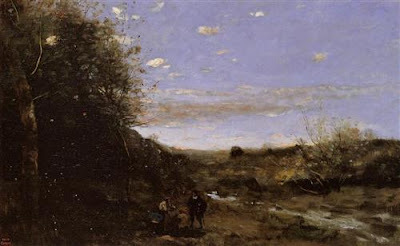 The scene changes, quite surprisingly, to a cemetery where two grave diggers are acting the parts of fools. 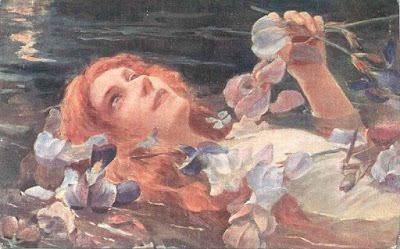 One is musing that permission was given to bury Ophelia in the graveyeard, only because she was nobility (normally, under Catholic law, suicides could not be buried on holy ground). They banter some more until Hamlet and Horatio arrive and Hamlet is disturbed by the disrespectful treatment that the bones of the dead are receiving as the gravedigger digs. He muses about mortality and that death knows no class or boundaries, treating all in the same manner. Death, in her universality, has no respect for rank or class, as a leader such as Ceasar or Alexander the Great can turn to dust and end up being used to plug barrels. 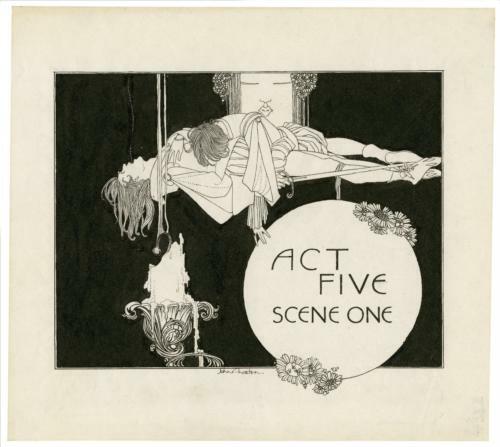 The King and Queen arrive on the scene, and both the reader and Hamlet learn that it is Ophelia’s funeral procession. Hamlet is shocked at first, yet bursts into the ceremony in his grief, almost defying anyone to question his love for her. 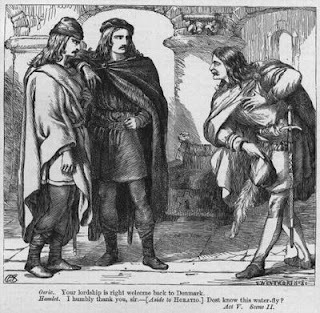 When he departs, Claudius reminds Laertes of their plans for Hamlet’s demise. With regard to Hamlet’s contemplation on mortality, will the nothingness of death prompt him to revenge, in effect, spurring him to action in life? Which brings us to the big question: did Hamlet really love Ophelia, and can we can determine the answer from what we’ve gathered so far during the play? I believe that his love was real — there’s no good reason to disbelieve his claim here. Yet why did he treat her so dismally earlier on in the play? I tend to think that Hamlet was so consumed with the task of revenging his father that the only benefit he saw in the people around him was how they could help him achieve that goal. In his thirst for revenge, Hamlet lost his humanity and in this scene we see a little of its return. We see it even before Ophelia’s burial scene, in the sensitivity he shows towards the mishandling of the bones and skulls in the graveyard. Yet this scene could also be a foreshadowing of his own death, and perhaps the sympathy we see from Hamlet is directed only towards himself. Ah, Shakespeare, you tie us in mental knots once again! Claudius appears to have placated Laertes, but then a messenger arrives with the letters from Hamlet. Once again, Claudius is befuddled. What could his letter mean? 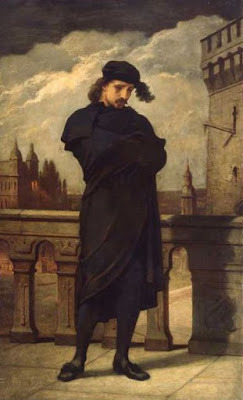 Hamlet claims that he is returning alone. Is he lying? Is it another trick? Laertes has no insight to add but Claudius first ensures his loyalty against his young enemy. Claudius has heard it bandied about that Laertes is a master swordsman. Using quite masterful manipulation of Laertes’ grief, Claudius urges him to challenge Hamlet to a sword fight. Not only does Laertes agree, he reveals that he will put poison on the end of his sword, so that even a little scratch, will kill Hamlet. Claudius approves the plan but he is hesitant. It must be done in a way that leaves no doubt of Hamlet’s death. If the sword doesn’t do the job, he will have a poison drink ready for Hamlet. 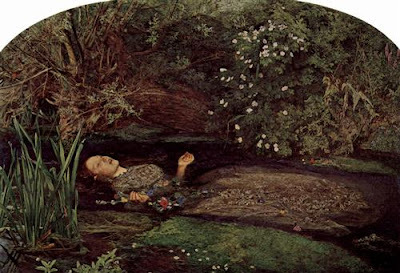 Their plans are interrupted by Gertrude, who hurries in to announce the death of poor Ophelia. 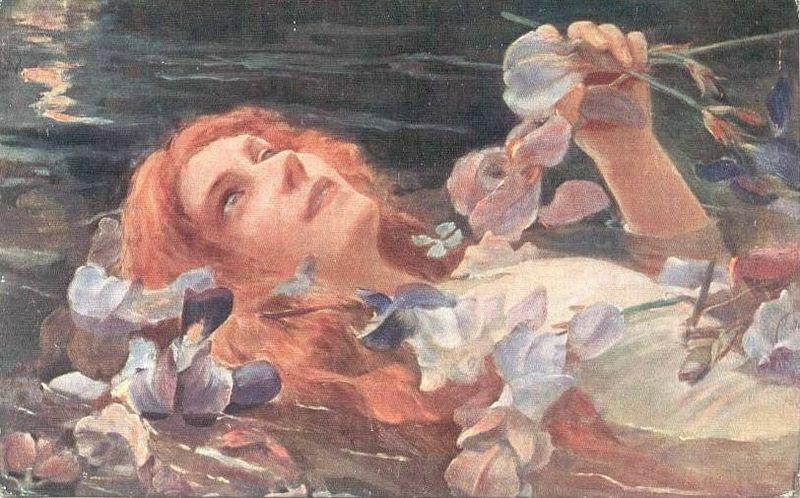 In her muddled madness, Ophelia wandered down to the brook, making wreaths of flowers. 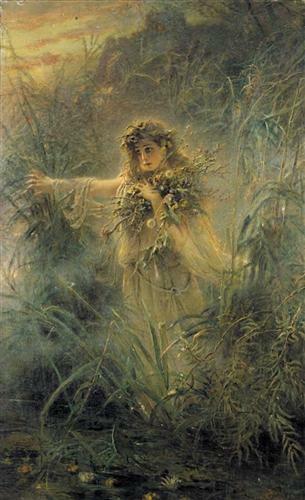 When she tried to climb out on a branch to hang her garland, the limb gave way and she fell into the brook. 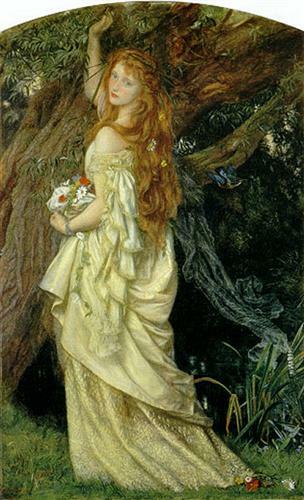 She sang lovely old hymns as her garments dragged her down to her death. Laertes is once again grief-stricken and Claudius follows him to try to moderate his actions. Again Hamlet keeps Claudius on his toes. The king must be in agony wondering what he will do next. Claudius also spends an inordinate amount of time attempting to sooth Laertes’ wrath, aiming it in the appropriate direction, and ensuring his loyalty to the crown. Using serpentine manipulation, he almost taunts Laertes, bringing up words vs. deeds and action vs. inaction. I almost get the feeling that Claudius is getting desperate. He already has Hamlet to deal with and another young man out of his control is certainly, at the least, worrisome. Remember, the people are presently calling for Laertes as king. Claudius’ hold on his power is tenuous at best. I kind of liked Laertes before these last few scenes, but recently he’s showed himself to be a hot-head, easily manipulated, and perhaps not too bright. While it is understandable that he wishes to avenge his father’s death, his plan for Hamlet’s demise is rather dishonourable. And, ah, the death of Ophelia, made more poignant by her singing and the symbols of flowers. It’s as if she’s making wreaths for her own grave before her death actually occurs. Does this emphasize her aloneness ….. with her father dead, she only has her brother, and in her madness is truly isolated.